Writing with one hand on the iPhone can be a risky activity. Even bigger when you use a Plus model and try to reach the keys at the other end of the screen. Luckily, there is a way to reduce the risk of typo errors through the activation of the iPhone's lateral keyboard. If you are one of those who write on the fly and taking the risk of dropping your iPhone on the street, this is your definitive trick. This functionality is found in all iPhone compatible with iOS 11 and is one of those small details that can save our lives. With this version installed, all you have to do is press the keyboard world ball tight and wait for the options to come out. Besides being able to choose the language quickly there is the option of placing the keyboard on one of the sides of the screen. Right or left, all the iPhone keys will be closer to your thumb. To deactivate this option, we only have to click on the "hollow" area that contains a light gray arrow. Automatically, the keyboard will return to its original position. If you like this keyboard and you want to have it always activated on one of the sides, you can do it by following these instructions: Go to Settings> General> Keyboards> Keyboard for a hand. As indicated in the image, to access this shortcut from the keyboard itself, we need to have more than one active keyboard. 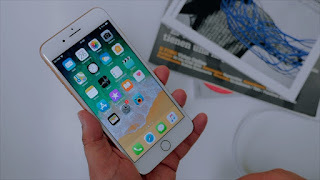 With this trick of the keyboard of the iPhone, you can write more comfortably and without risking your device to fall down, which is always a bad thing. How to clean the RAM of your iPhone or iPad without restarting it? iOS has a series of "hidden" tricks and settings that are not always known but can be very useful. For example, these days we have seen how to reduce the size of the keyboard to write with one hand. But there are things that are not even in sight, such as the option to clean the RAM of the iPhone or iPad. Why will you clean the RAM on an iPhone or iPad? The truth is that in rare cases it is required, when the device works slow or an app is giving you problems, it is a convenient way to solve it. Cleaning the RAM means cleaning all the files and temporary settings of the system and the apps, as a kind of quicker and more comfortable restart. 1. Make sure the iPhone or iPad is unlocked. 2. Press the side button of the iPhone (or above on the iPad) until the 'Slide to turn off' screen appears. 3. Press and hold the Home button for several seconds, until the device's home screen appears again. Done, this should be enough for the RAM to be cleaned on the device. You will notice that the return to the Springboard is a little different than when you press a fast rock, as if it started again. Likewise, the apps will remain open in the background, but upon entering them many will be loaded again as if they had been closed. And what about the iPhone X that does not have a Home button? Well unfortunately it is not as comfortable as in the iPhone with Home button. To do this we must have activated the virtual Home button of the Assistive Touch.